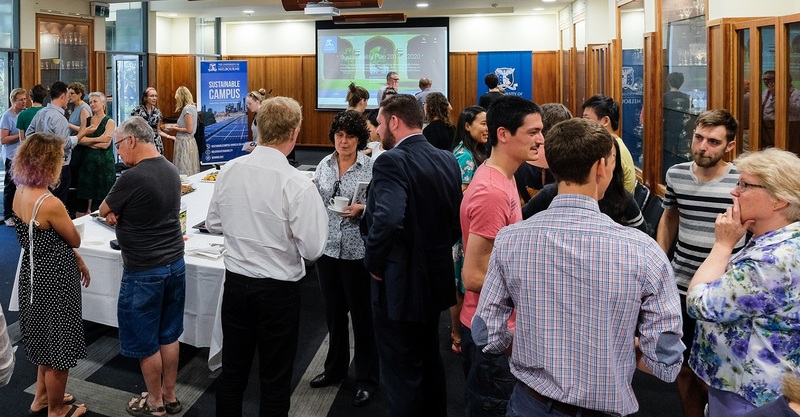 An event for staff and students on campus was the next step in deploying the Sustainability Plan 2017-2020. It drew an enthusiastic group of people interested in a sustainable future for the University, many who signed up to become Sustainability Advocates. Vice-Principal Administration & Finance and CFO Allan Tait, who Chairs the Sustainability Executive said he was grateful to everyone for what they had done, but also for what they were going to do. He said the plan would only work if everyone got involved. So now is the time for everyone to think about the small, everyday things we can do to build sustainability, and be ready to get involved in delivering the long-term, more complicated stretch targets that lie ahead. The detailed Plan is here. There will be a number of ways to get involved in 2017, including by becoming a Sustainability Advocate. If you would like to kept up to date with opportunities, sign up to the Sustainable Campus newsletter.